The Bucs still seem to have interest in trying to snag unhappy Pro Bowl CB Darrelle Revis, but there’s also a rumor that Jets QB Mark Sanchez would be involved in the deal. Pro Football Talk stated on Friday the Jets and Buccaneers have discussed including Sanchez in a trade for Revis. A source told Brian Costello of the New York Post it is highly unlikely Sanchez would be included in the trade. It is hard to imagine any scenario where the Buccaneers would want Sanchez because of his price tag ($8.25 million base salary). Tampa also has leverage because they are the only team seriously interested in trading for Revis. If they are willing to put the right draft pick combination together, it seems like this deal will get done. They would not have to sweeten the deal by taking Sanchez off the Jets’ hands. Any trade for Revis is expected to happen in the week before the April 25 NFL Draft. Tampa Bay’s doctors would have to evaluate Revis’ surgically repaired left knee before any trade could be done. The Buccaneers also will want to finalize a long-term contract with Revis before finalizing a trade. 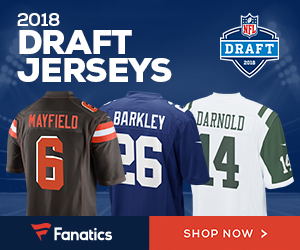 Sanchez is coming off a disappointing 2012 season and there was a thought the Jets would try to trade him, but any trade talk seems too unrealistic with Sanchez’s inflated salary.